EcoPrint 2012 organisers FM Brooks revealed the scope of industry-wide support for the show at the latest EcoPrint Development Group meeting in February. 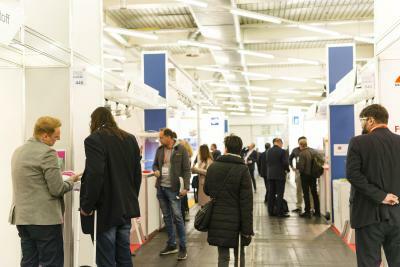 With 70 per cent floor-space already sold for the inaugural exhibition in Berlin in September, it is set to be the world's premier showcase for sustainable print business. EcoPrint 2012 was launched in October 2011 in response to the growing demand from consumer brands and retailers for sustainably produced print. Founding exhibitors now include some of sustainable print's biggest names including: HP, Heidelberg, EFI, Mimaki, Mutoh, Avery Dennison, Roland, Xeikon, Seiko Instruments, Arjo Wiggins, Coldenhove, Deutsche Papier, Nazdar, Jteck, Marabu, Sepiax, Neschen, Beelite, Dufaylite, and Ilford BioMedia. Print industry associations have also rallied to support EcoPrint 2012, including ESMA, Intergraf, POPAI, Verdigris, f:mp, Media Mundo, GA (Graphics Association of Denmark), Ingede, DGI and Two Sides. In addition to association support, EcoPrint has also gained the support of FSC Deutschland. Frazer Chesterman, Director, EcoPrint says: "We're delighted so many of the industry's leading brands, organisations and associations have chosen to support EcoPrint. In order to keep the business of print sustainable it's vital that the industry unites to present the eco-solutions that will maintain its relevance as consumer and corporate demand shifts irreversibly toward sustainable products. "In a very short space of time EcoPrint has become the focus for sustainability in print and it is now clear that green print production is not a side show. 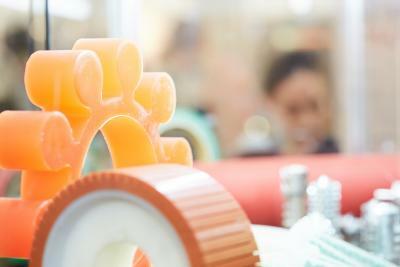 The industry demands an event focused on sustainable print business. We look forward to working with the visionary people who have already pledged their support for the event and the many more who will undoubtedly follow between now and September." At the EcoPrint Development Group Meeting, leading print professionals put into action the show's collaborative philosophy, discussing and defining the exhibitor profile and review process. 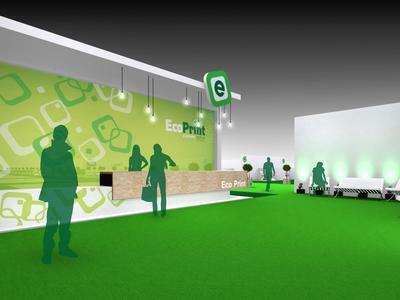 There are now 20 EcoPrint Ambassadors drawn from exhibitors and supporters, each committed to contributing to the content, communication and promotion of the event. Simon Pless, EcoPrint Ambassador, printer, exhibitor and member of the EcoPrint Development Group says: "Since the launch of the show I've been impressed by the progress in terms of exhibitor support, association involvement and media coverage. The next step is to confirm the content and run the show. With the EcoPrint Development Group and my fellow Ambassadors, I am sure we have a great team of advocates and a seasoned exhibition team who know how to put on innovative print events." Eelko Leeuwenburgh, Senior Marketing Communications Manager Avery Dennison, Founding Member & Ambassador of EcoPrint said: "We are proud to be part of this innovative approach. We live in an age where the future is collaboration and for too long sustainability has been tackled in isolation - at Avery Dennison we see great value in teaming-up around sustainability. The EcoPrint Development Group agreed a different approach from a new player is required and EcoPrint looks to be the catalyst for lasting change. Among the group there is significant experience in running very successful print events and forming communities so we are confident it will produce the right results - new contacts and new business opportunities all built around sustainability." FM Brooks is part of the Mack Brooks Exhibitions Group. It is an event business run by Frazer Chesterman and Marcus Timson that will launch new events that challenge, connect and inspire new business. FM Brooks will produce events and exhibitions for visionaries, leaders, innovators and early adopters through a collaborative model, producing unique content, an inspiring experience and measurable results for all participants. The Mack Brooks Exhibitions Group is a leading, privately owned organiser of global exhibitions throughout the world in engineering, transport, metalworking, information technology, textiles, food and beverages, railways, construction, tunnelling, printing, converting, airport management and aviation.